"Welcome inside this beautiful main level living 4bed,3.2bath with 4,583sqft home.Open concept design, ample room for entertaining around the gourmet kitchen w/viking 6 burner gas range,o/s pantry,granite island,vaulted ceilings,on-suite bedrooms and 4 fireplaces throughout.Adjacent Premiere NW Equestrian Facilities included with 50+ acres of scenic landscape. 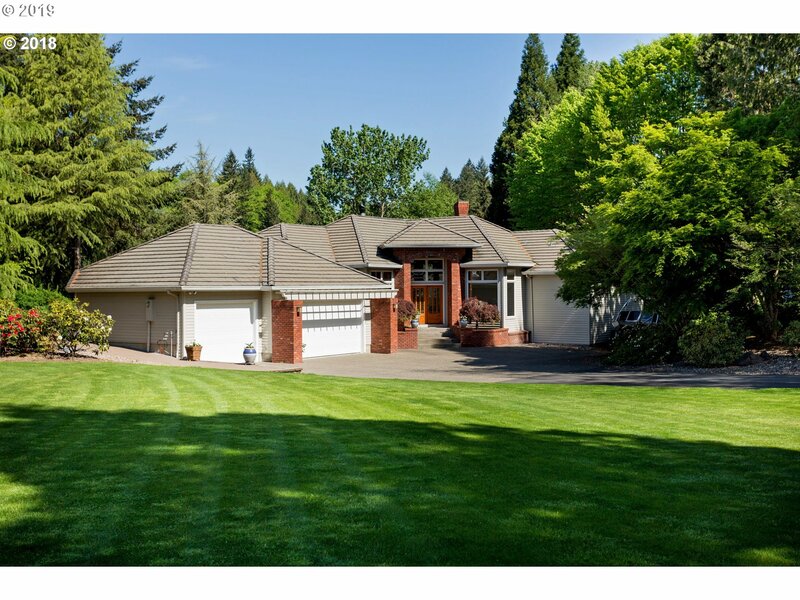 Opportunity to own a slice of heaven just 4 miles from I-5 and 30min to PDX." "Premiere NW Equestrian Facility:Noble stall fronts,Nelson waters,spa envy wash racks. Impressive 176x271 Clearspan metal indoor arena large enough for multiple disciplines, secondary 60x120 indoor arena, 190x300 outdoor arena.Three barns totaling 69 stalls w/ ample turnout.Scenic 33+ acres just 2 miles off I-5 corridor, 30min PDX. Gated entry for boarders,trainers & exhibitors.Perfect for horse training, clinics and business investment." 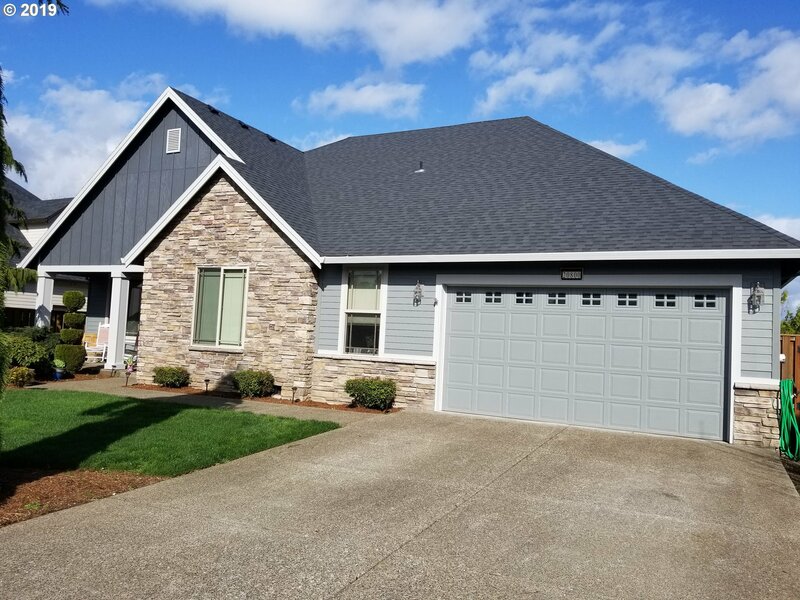 "Escape the noise of the city to the peace, tranquility of this carefully designed home in prime location of the Willamette River. Designed to savor the views of the river and manicured lawn from every room in the house.Bonus/exercise is plumbed for bath and can accomodate another bdm. New gangway to boat dock/lift. Large hardscape patio makes entertaining by the solar heated pool a delight! Master on main. Cost reducing geothermal heat." "Potential abounds in this lovely historic farmhouse which sits adjacent to the local municipal airport just min from the I-5 corridor. Built in 1910 the home is nestled among 2 AC of actively farmed hazelnuts giving this Marion Co. property a farm deferral and EFU zoning. The home has 3+bed,2BA, open kitchen & 2 flex rooms. Dry basement has 2 finished rms. Currently used a rental property, this parcel is a great investment opportunity." "Need a shop? How about 2 or 3? This fantastic home is located across from Charbonneau on 1.11 ac. If you need storage, look no further! Home features 2 car garage, 15'4x38 RV garage w/sewer hookup, 30 amp & wtr, addtnl 13'6x48'5 shop & 20x40 pole barn w/18'6x47' prkng pad. Oversized bdrms, 3 bths. Master bdrm has private TV rm/office. Oversized fam rm, lg deck for entertaining + grapes, apples, plums, rasp, blueberries & strawberries!" 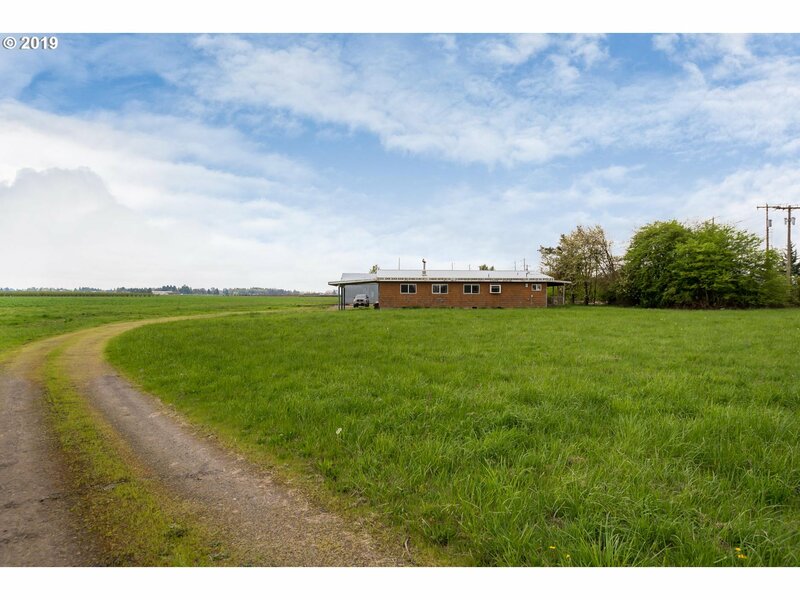 "Versatile nursery property opportunity. Prime Location. Prior listing included business, equipment and lease of nearby cropland for $1,269,000. $574,900 includes real estate and fixtures only. 6 modern greenhouses w/ high eff. radiant heat. 1996 built office building could easily be converted to a 2-3 bedroom 2 bath home. fiber optic internet, 3 phase power, nat. gas. Pole building has power and water, great for storage or shop." "Construction is complete! Main floor master suite features vaulted ceiling, freestanding tub & custom tile shower with rain head. Upgraded kitchen includes W/I pantry, Quartz counters, Farm sink, Open Shelves & Glass Cabinet Doors. Shiplap & floating shelves surround gas fireplace in spacious great room. Welcoming covered porch in front & covered patio in the back for entertaining. Listing agent related to seller." "Tasteful Elegance. Custom built single level home with superb detail. Home invites you in with a open foyer & Huge great room/kitchen combo. Detailed Cabinetry, trim, granite counter tops & Wood floors thru entire home. Large master suite w/walkins. 4th room w/french door's is great for office/parlor rm. Over sized tandem garage. Covered patio perfect for entertaining & fully fenced yard w/manicured landscaping. DO NOT DISTURB TENANTS." "Wonderfully cared for home features a comfortable & open, great room floorplan w/ 4 bedrooms + office. Interior components include wood floors, granite counters, over-sized island w/ breakfast bar, wainscoting, gas fireplace, & a spacious master suite w/ vaulted ceilings, soaking tub, and walk-in closet. Enjoy outdoor living from the comfort of the large, fully fenced yard with wood deck and facing a quiet greenspace." "One of a kind custom home provides creative space inside and out. Main floor living + artist studio or 3rd bedroom up. Big, vaulted, open rooms abundantly filled with light. Multiple sliding doors to level, south & east facing, fully fenced, backyard. Big deck area perfect for entertaining. Professionally designed garden planted for total privacy within 5 years. 2 year old Tesla Solar panels provide power for most days of the year." "Flat level acreage, property with single story home, two large shops/out buildings one w/power. 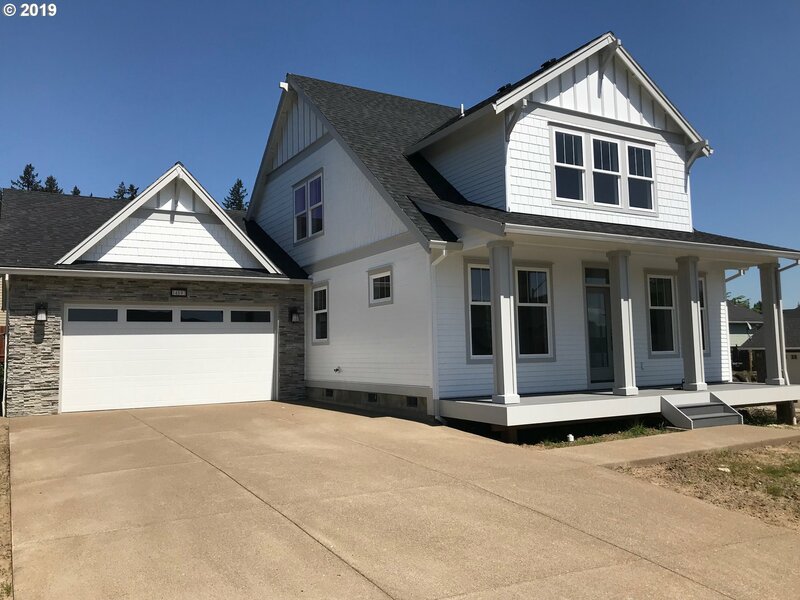 One shop/out building 78x39 & other is 38x31.House has vaulted beamed ceilings, cedar shake siding, retro/antique light fixtures, large open floor plan living, dining and kitchen, two generously sized rooms and large closets. New furnace. The train does run alongside this property. 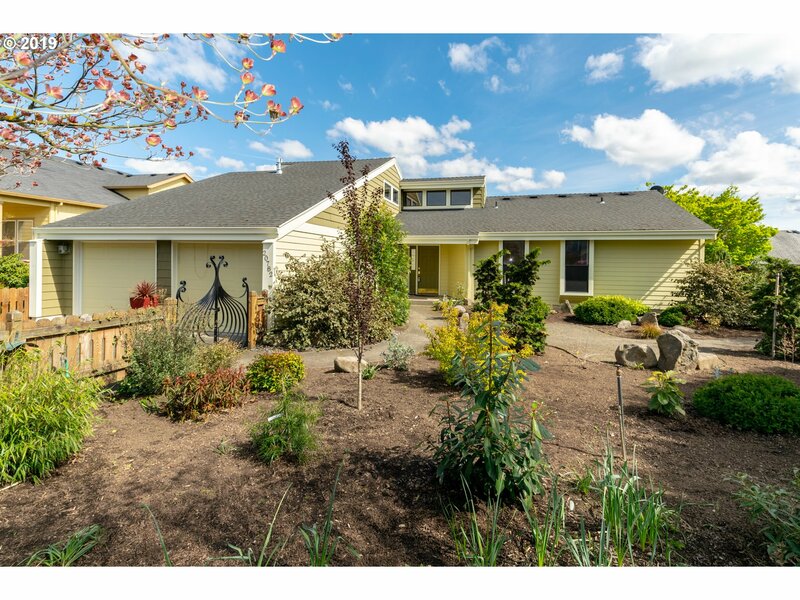 Minutes to I-5 / Would be a great property for home business."